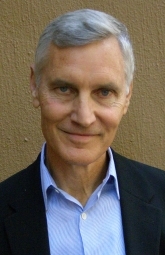 Richard A. Johnson, PhD, LCSW, is a graduate of Yale (BA), Columbia University School of Social Work (MS, PhD), and a 1993 graduate of the Ackerman Externship Program. Currently teaching family therapy at Ackerman and the Columbia University School of Social Work, Dr. Johnson has also taught and supervised family therapy at the Fordham and Hunter College Schools of Social Work, the Hunter College Post-Master’s program, and the NYU Child Study Center. Dr. Johnson previously worked in child welfare at the Jewish Child Care Association of New York, where he was Division Director for Foster Care, Adoption and Group Care, then Associate Executive Director, and from 2000-2010 Director of Training. Married for 29 years to Laura Santisi and father of Elizabeth, 22, Dr. Johnson lives in Hell’s Kitchen, where he maintains a private practice with individuals, couples and families.